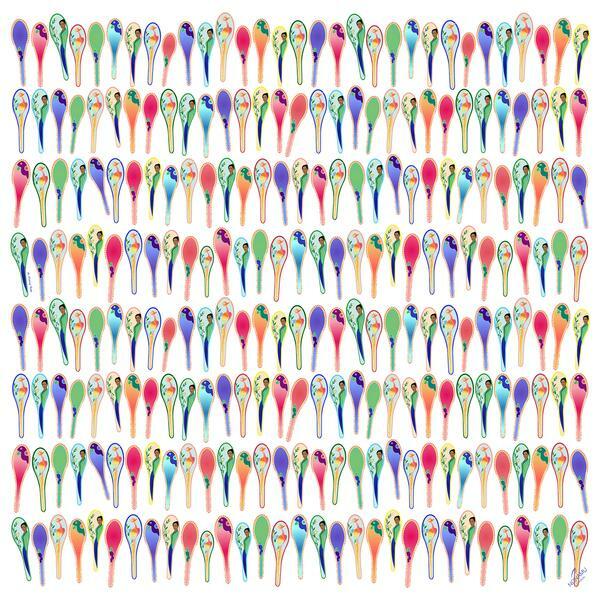 If anything reflects the indulgence of the Peranakan / Baba Nyonya culture, it’s their spoons. 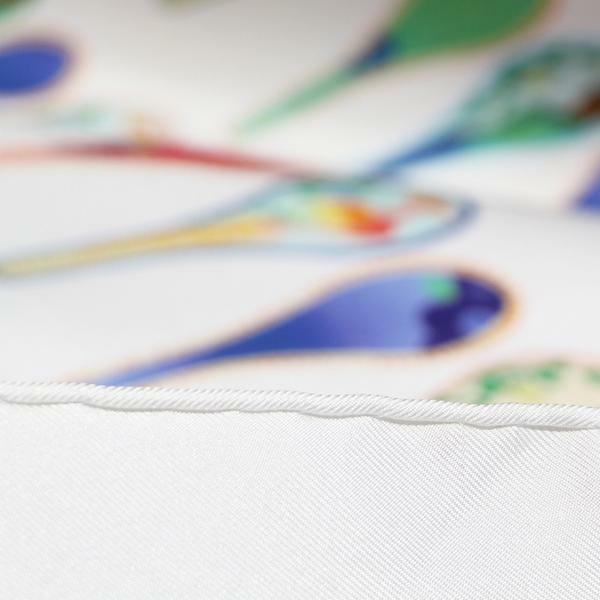 A purely functional tool to most, the increasingly rare porcelain spoons of the Baba Nyonya were commissioned for special occasions and ceremonies. 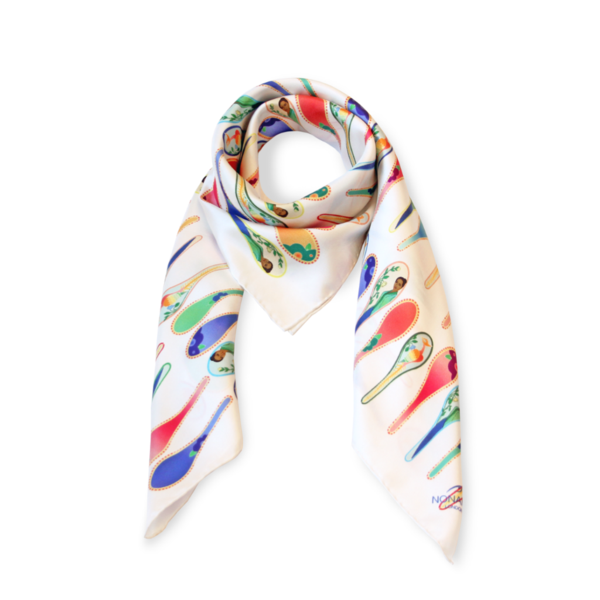 This scarf blends striking colours with ornate symbols: The mythical phoenix represents beauty and grace – a common motif in Peranakan porcelain; it’s then joined by a lady dressed in traditional Nyonya Kebaya. 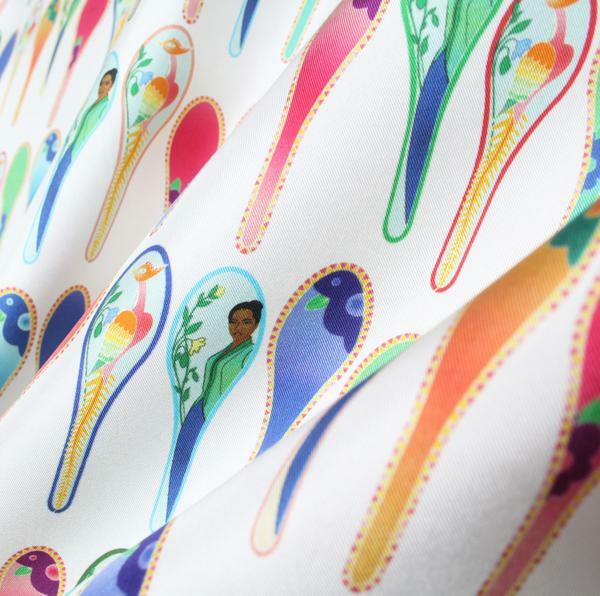 The beautiful, vibrant colours of the spoons set against the porcelain white background makes the design stand out, allowing people to be focused on the imagery on the spoons, understanding the importance and history of the Baba Nyonya culture.